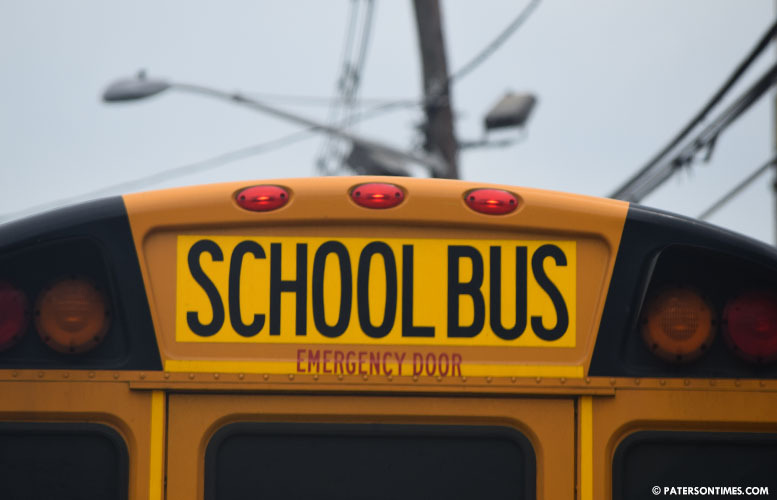 A school bus transporting half-dozen students to Trenton on a field trip over the weekend broke down at the entrance ramp to the New Jersey Turnpike. Back wheels of the bus “flew off,” according to a chaperone, who reported the incident to the district. “It was with the grace of God that the driver was able to get the bus to the shoulder,” wrote the chaperone, Joy Spinelli, who teaches at the district, in her complaint. She related the incident took place as the bus got off the Garden State Parkway to get onto the New Jersey Turnpike when both back wheels flew off the bus and into the grass. Spinelli was on the 16-passenger bus owned by Paterson-based Sarah Transportation with six students. No one was injured in the incident which occurred at about 9 a.m. on Saturday, said Terry Corallo, spokeswoman for the Paterson Public Schools, on Monday afternoon. She said local police were called to the scene and a replacement bus was sent by Sarah Transportation. Over the weekend, Shafer directed the district’s transportation team to look into alternative busing solutions for field trips, said Corallo. She said the bus company will not be used to transport students to and from field trips scheduled for today. A representative for Sarah Transportation did not respond to a call for comments on Monday afternoon. Capers said many of these outside bus companies purchase obsolete vehicles from public auctions and put them in service. The replacement bus provided by Sarah Transportation had badly worn tire treads and at one point when the bus, while returning to Paterson, halted one of the bench seats fell from the frame onto the floor, according to the chaperone. “We’re paying too much money for this type of service,” said Capers. He has called for the district to bring its busing in-house, an expensive proposition that carries a $78.8 million price tag (the district has a $16.45 million transportation budget). Sarah Transportation was cited 48 times this school year for such things as failure to pick up students, failure to drop off students to an adult, failure to report an accident, using drivers lacking commercial driving privilege, and other violations as of Feb. 28, 2018. The district fined the company more than $16,000 for the infractions. The superintendent has taken a tough stance against misbehaving bus companies since September. She plans to put in place stiffer penalties for violators for the upcoming school year.